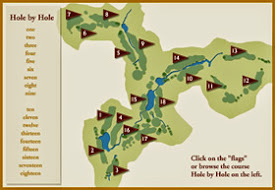 Kick off the season right by playing a round (or three) at the best golf course at the Lake of the Ozarks! With a number of on-site amenities and beautiful views around the course, it's a great time to visit Old Kinderhook for a memorable golf experience. We are here for all of your golfing needs. 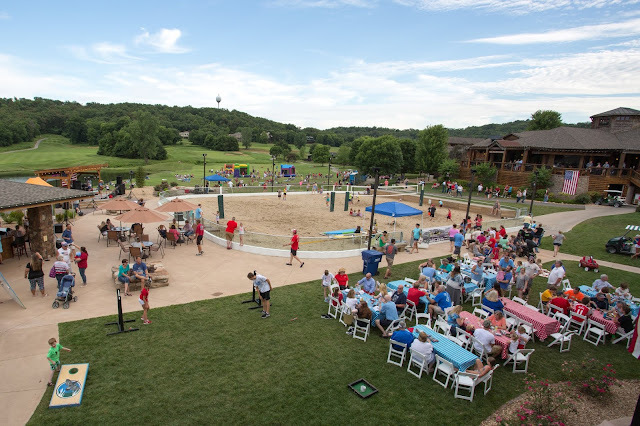 Our Lake of the Ozarks golf course is the place to be this spring and summer! Nestled among beautiful valleys at the Lake of the Ozarks, lies one of America's most spectacular courses. Old Kinderhook, a Tom Weiskopf signature course, is a 6,726-yard par 71 featuring zoysia tees and fairways with large bentgrass greens. It will challenge the most serious golfer, yet plays on the friendly side. The course is renowned for its unsurpassed drama: valleys, waterfalls, hills, trees and water hazards, plus its beautiful lake setting. The elevation changes and breathtaking views will thrill you at every hole. 1) Enjoy the beautiful weather. Soak up the sun after the rough winter and early spring. Golfing is the perfect way to catch the sunshine and enjoy the beautiful outdoors. 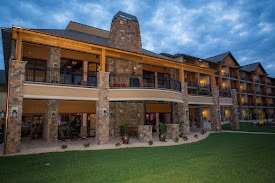 Fresh air does the body good and we have the perfect place for you to breath it all day! Now is the perfect time to get out and make improvements to your game. Since it's the start of golf season, you may not have played in the off-season. It can take a few rounds to get your game on track and refresh your swing for the season. 3) Bond with friends and family. Playing a round with friends and family is a great way to spend time together. Whether you are a competitive bunch or are out for a friendly round, it's the perfect way to make new memories together. Get together with your friends or family members for a round this week! You won't regret it! 4) Stay active while playing. Hitting the course is a great way to stay active. Swinging and walking are both frequent activities on the course. Even though you use a golf cart to travel most of the distance, you are still walking to your ball from the cart. Golfing with people you do business with is a great way to strengthen those relationships. Many deals are finalized on the golf course. If you are involved in the business world, golfing may be your go-to activity for meetings. Are you itching to hit the course? Contact our golf shop at 573-317-3573 to book your tee time and get ready for a thrilling day on the course. You haven't experienced Old Kinderhook to the fullest until you've played our course. We look forward to helping you provide a great golf experience and a memorable experience on the course!